The New Year brings fresh new challenges and a fresh zeal to workout and simply kill it at the gym. But many of us lag behind as we do not muster have enough enthusiasm to nail our workouts. So, how can you imbue enough zest in your workouts? Well, one way of doing it is by using pre-workout supplements. Have you checked the shelves of a multi-faceted gym? It almost always has a plethora of supplements occupying a decorated corner. What is the best pre-workout supplement? Well, it is very difficult to say that and it can be pretty confusing! Most of the pre-workout supplements for weight loss or muscle gain promise the earth, but how much do they actually deliver? Also, the back of those impressive looking bottles list out a multitude of unknown ingredients which you may know nothing about. Feel yourself drowning in a sea of confusion? Well, don’t you worry, we will tell you about the top pre-workout supplements that are going to significantly help you build a better body composition, read less fat and more muscles! Why do You Need Pre-Workout Supplementation? A quality pre-workout supplement containing natural ingredients will boost your athletic performance and help you reach your fitness goals, faster. Here are the benefits of adding the best pre-workout supplements to your diet. They boost your athletic performance during your workout. They improve endurance so you can get the best out of any type of workouts. Enhances your stamina and strength. Your focus will get sharper than before. Ideally, when you are thinking of getting yourself a good pre-workout supplement, it is important to consider your workout regime, think about your goals and the kind of exercise regime you usually do, as there are certain supplements that enhance certain aspects of your performance. When it comes to supplements, no one size fits all, there are some supplements that only increase the strength or power while some of the others boost only your endurance. 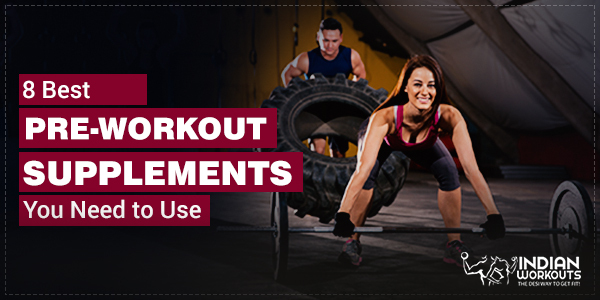 So, for a specific type of exercise, you need specific pre-workout supplements. Knowing all about the ingredients will help you get the best kind of pre-workout supplement. Read more about the 8 effective pre-workout supplements that empower and enhance your workouts, right here. 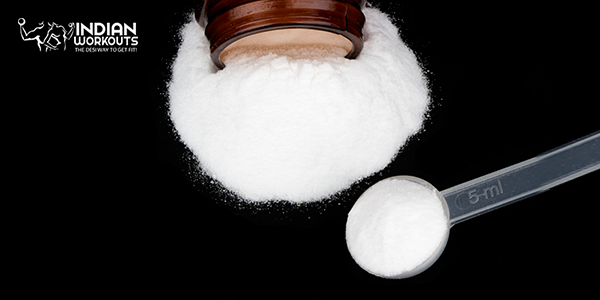 Creatine is a popular dietary supplement and is an also a molecule found in your cells. 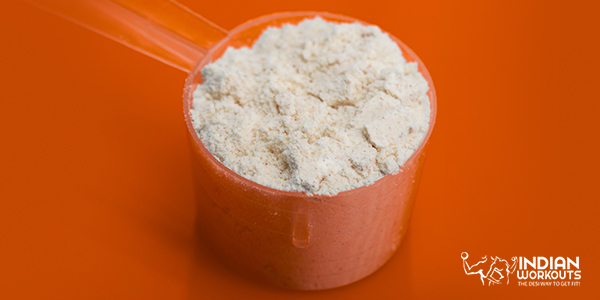 When it comes to increasing strength and power, you cannot look beyond creatine. The pros of using creatinine? Well, you can increase your muscle mass, strength, and your exercise performance. Especially, when you are into strength-training you have to include creatinine in your supplement arsenal. Creatine helps enhance the energy production system in your cells. So, simply said when you have more energy stored in your cells you improve your performance levels significantly and this performance level improves over time. When you find yourself lost and bamboozled by a sea of numerous supplements, creatine is probably the first one you should pick. You start with 20 grams and take it up a notch when you train more and become a pro. Split it out into multiple servings throughout the day. This is the loading phase and then you move into the maintenance phase where you take about 3-5 grams per day. 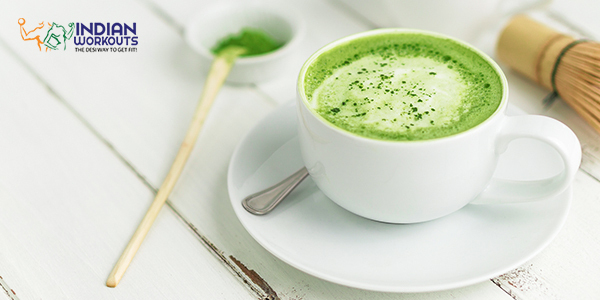 Theanine is an amino acid you’ll find in your tea, and research substantiates it boasts of several health benefits such as stress reduction, producing more nitric oxide, improving your focus, mood, alertness, and memory. If you are fond of caffeine then you will love theanine as well. Dosages of theanine vary, but effective dosages range from 100 to 250 mg. However the quantity depends on the amount of caffeine it’s combined with (and the ratio 1:1 is deemed as ideal). Are BCAAs overrated? Overrated or not, they are certainly popular. There’s enough research on the same that boasts of enormous benefits. It helps improve your immune function, helps diminish fatigue, reduces muscle damage and improves post-workout muscle growth. 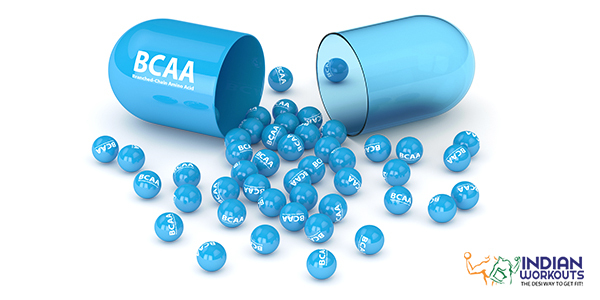 So, can you get your BCAA’s from food or you need to get it from supplements alone? Well, there’s a lot of information on the same. But what’s makes sense from this sea of information is that BCAA’s are great for fasted training. Fasted training is not when your stomach is empty, but it is actually when your insulin levels are at a baseline low state. When you eat, you are in a fed state as your pancreas releases insulin into the blood and it helps carry the nutrients into cells. It is said that when you train on a fasted state, your fat burning hormones work best. So, when you have certain supplements on a fasted state you accelerate the fat burning process. But there’s a catch, while you may burn extra fat, you may also initiate muscle breakdown. So here, leucine, the amino acid in BCAA helps stall the muscle breakdown. Research says that just 3-5 grams of BCAA 15 minutes before starting your training can get the work done. This pre-workout supplement contains amino acid and signals the body to start using fat as energy. Without supplementation, our bodies will store the fat and then use up the muscle tissue for energy. This impacts the body, affecting your metabolism and also losing strength. This amino acid combines with arginine and citrulline and aid in the urea cycle. The urea cycle helps eliminate the ammonia through urine. When you have excess ammonia in your body it causes muscle fatigue and also accelerates the loss of skeletal muscle strength. So, if you add ornithine to your supplement collection, you will see improved fat loss and also a dip in muscle fatigue. Beta-alanine is an amino acid that is a potent force in fighting muscle fatigue. It helps in controlling the buildup of lactic acid in your body during exercise. When you take beta-alanine as a supplement, you help increase the concentration in the body also boost your exercise performance. This type of supplement also helps improve performance that lasts 1-4 minutes at a time. However, it may not be as effective for improving exercise of a duration less than one minute, such as a single set weight-training workout. The recommended dose for the same is 4-6 grams per day. The only side-effect of this particular supplement is the feeling of ‘pins and needles’ when you consume it in higher doses. Citrulline is an amino acid and produced naturally in your body. But you can increase its supply in your body by consuming it through foods and supplements. The increased level helps boost exercise performance. Citrulline also enables the blood flow to the body tissues. This type of supplement also helps nourish your muscles with oxygen, thus helping you to perform well. A study made on cyclists who were supplementing with citrulline proved that the participants biked for about 12% longer (than those on placebo) before they caved to exhaustion. Another study revealed as much, that participants indulging in upper-body weight training performance, (who were also on citrulline) performed better, more specifically about 53% more repetitions than those who took a placebo. Taking citrulline also helped reduce muscle soreness especially on the post-workout sore days. So, there are two types of citrulline that you can use, one is L-citrulline and the other is citrulline malate. For the former, the recommended dose is 6 grams of L-citrulline and 8 grams for the latter. The best part of Citrulline? It does not have any side effects. This is indeed one of the best pre-workout supplement for energy. What, baking soda? One of the top pre-workout supplements? Well, this is the common reaction of most people. How can this be an effective sports supplement? Sodium bicarbonate acts as a buffering agent and it helps fight against the acid buildup in the body. Baking soda actually helps reduce fatigue during exercise, so you feel less ‘burnt-out’ during your workout sessions. The more burnt-out you feel the more acid production there is in your body. Many studies have revealed that when you do intense cardio sessions such as running, cycling or sprinting, baking soda can help you. However, little is known about other longer-duration of activities. So, baking soda is perfect for long intense workouts. The optimal dosage of the same is 136 mg per pound of body weight or 300 mg per kg of body weight. For example, if someone weighs 150 pounds (68 kg), the amount can increase up to 20 grams. 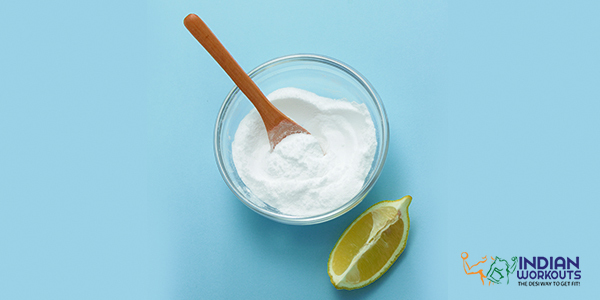 You can ingest baking soda in its regular form or by supplement form. You have to be a little cautious though of the quantity, as it may cause a stomach upset. You can either start with small doses or split up the amount into multiple doses. Also, in some cases, if you are salt-sensitive you may consult an medical professional before you start taking this supplement. 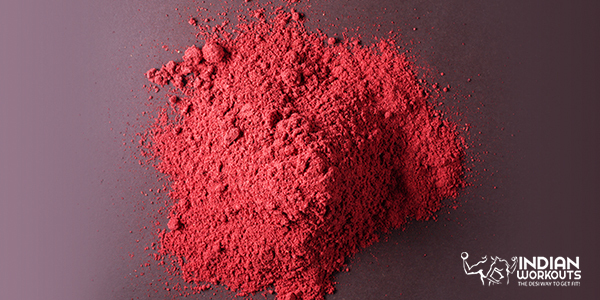 Beetroot powder is a thing nowadays and do you know why it is so effective for workouts? It is all because of a molecule called nitrate and you will find it in a number of vegetables such as spinach, turnips, and of course beetroot! Beetroot juices are currently all over social media and body-builders to holistic nutritionists are singing paeans of this wonder supplement. Well, the surprising fact is that you also produce smaller amounts of it in your body, naturally. Nitrate is converted into a molecule (nitric oxide) as it increases blood flow. It helps with exercise performance as it increases the amount of oxygen during exercise. Studies show that beetroot juice helps increase the running time, increasing speed and endurance during 5-km runs. Also, it will help you deal with the hard part of running. If you are into running and cycling, well, you certainly need to consider this nutritious powder or supplement. So, how much is the ideal dosage? 2.7-5.9 mg per pound or 6-13 mg per kg of your body weight is deemed an ideal dose. So, if you weigh around 68 kg, you need to consume 400-900 mg. Let’s just say that if you want to consume it for a longer period then it is ideal to consume it from vegetables, such as beetroot. There is not much research done on the long-term safety concerns of nitrate supplements. Well, if you want to feel and perform your best and at the optimum level in the gym or at home, give these 8 pre-workout energy supplements a serious dekko. Disclaimer: One thing which you must take a close look at, are the ingredients of these supplements. 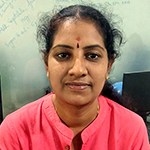 If you are confused about its efficacy and impact do consult your trainer and a medical professional to ensure you get the best out of the supplements.